If you are living without a fridge, or with a very small fridge the number one easiest strategy for having safe food is to prepare fresh food and not to store leftovers. However, what should you do when you have an extra food from a big event such as a party, Thanksgiving or other holidays? 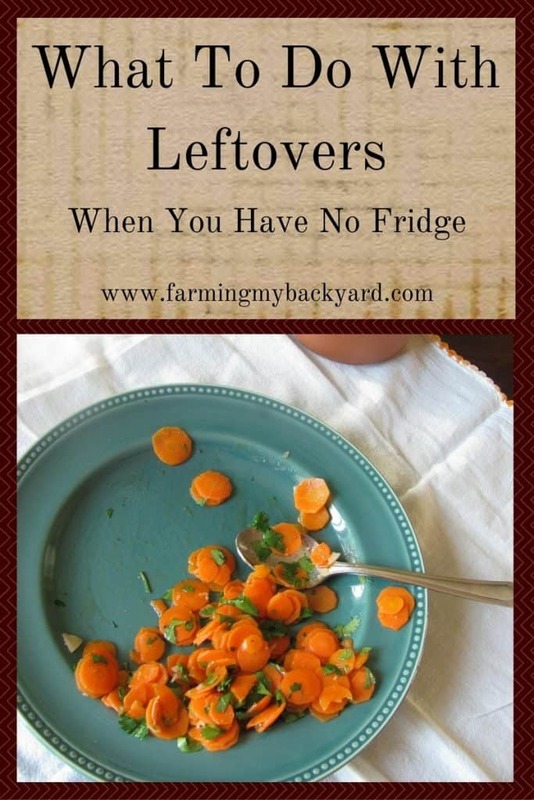 Here are some ideas on what to do if you don’t have a fridge for tons of leftovers. One good strategy to free up some fridge space is to use leftover meats, bones, or vegetables to make broth to freeze for later. I like to make stock in my crockpot. Add the bones and a splash of apple cider vinegar then top with water. Leave on high in the crockpot for 24 hours. After that point pour the broth off into jars. You can refill the crockpot with water for even more stock. I like to use three changes so that the bones are very soft. Once I’m done, I feed them to my chickens to use up every bit. The jars of broth can be canned in a pressure canner or frozen for use later in soups. You can also use it instead of water to cook beans, rice or other grains. Another good way to freeze leftovers without compromising the taste is to make up several shepherd’s pies and then freeze them for later meals. Put a layer of leftover meat on the bottom of a pan, followed by a layer of leftover vegetables. Peas and carrots are popular, but use what you have, corn, olives, whatever sounds good! Top it off with a layer of mashed potatoes and grated cheese. When it’s time to eat pop the frozen dish into the oven for about an hour at 350 degrees. 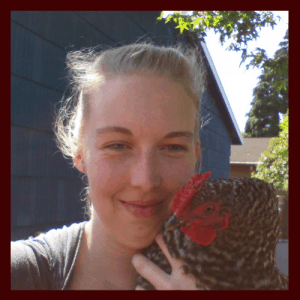 When we were fridge free and the using a mini fridge I put a serious dent in my chicken feed bill by scraping leftovers into a big metal bowl then carrying it out to the flock. Obviously, don’t give your birds anything that is spoiled! Everything else they will gobble up and turn into delicious eggs for you. No amount of repackaging and re-purposing leftovers will keep them safe if you weren’t careful when you first cooked your food. If you don’t have a fridge to defrost meats make sure to immerse them in cold water and cook as soon as it has thawed. Don’t just leave it on the counter! Also make sure to cook it until it reaches 165 degrees internally, as well as reheat your leftovers to the same temperature. If you aren’t sure what is safe and what is not foodsafety.gov is a good resource to fact check. This post has been sponsored by Homestead Blogger’s Network!